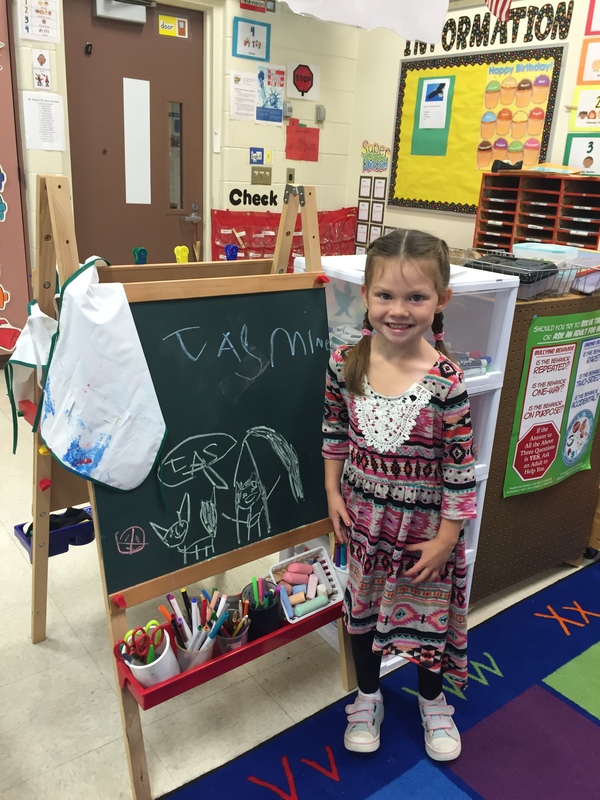 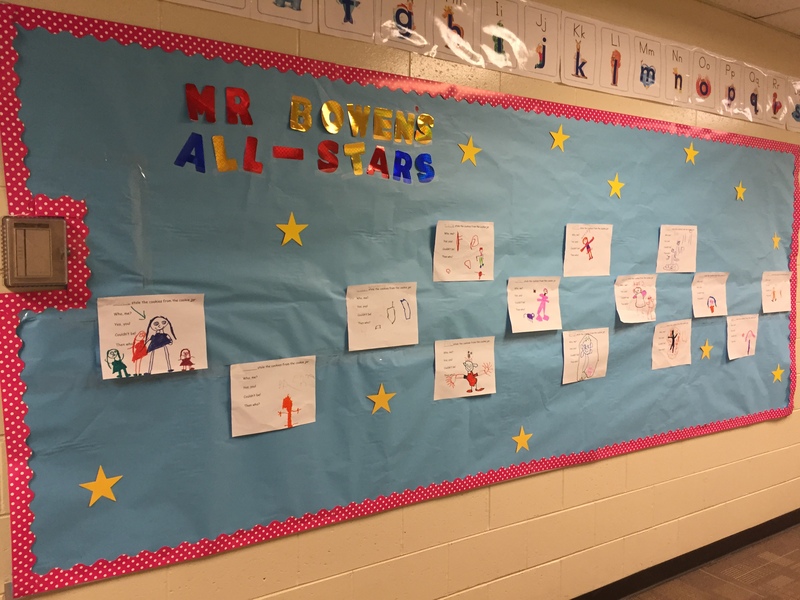 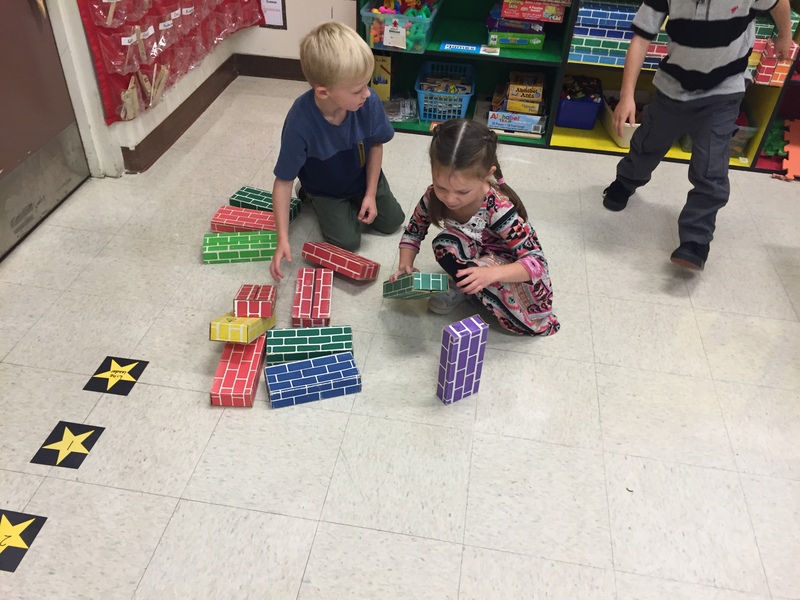 Today was our second half day of school where we focused on kindness and learning how to get along together in the Kindergarten All-Stars classroom. 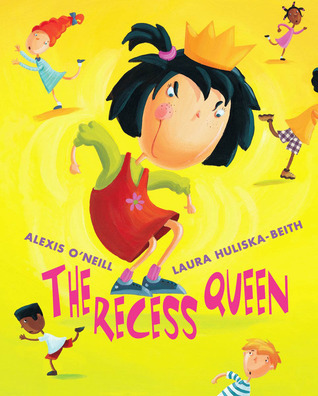 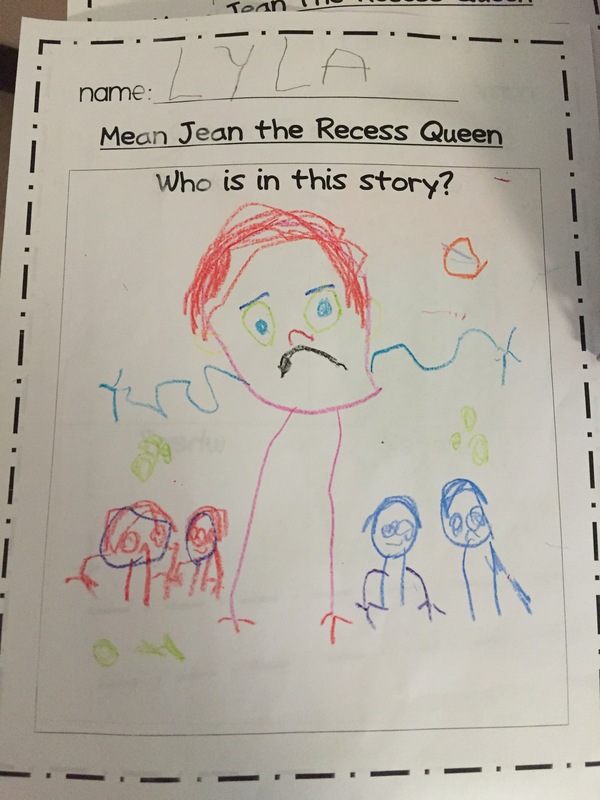 We started by reading The Recess Queen and we talked about how Mean Jean wasn’t showing kindness, and Katie Sue showed kindness by asking Jean to play even though Jean was being a bully. 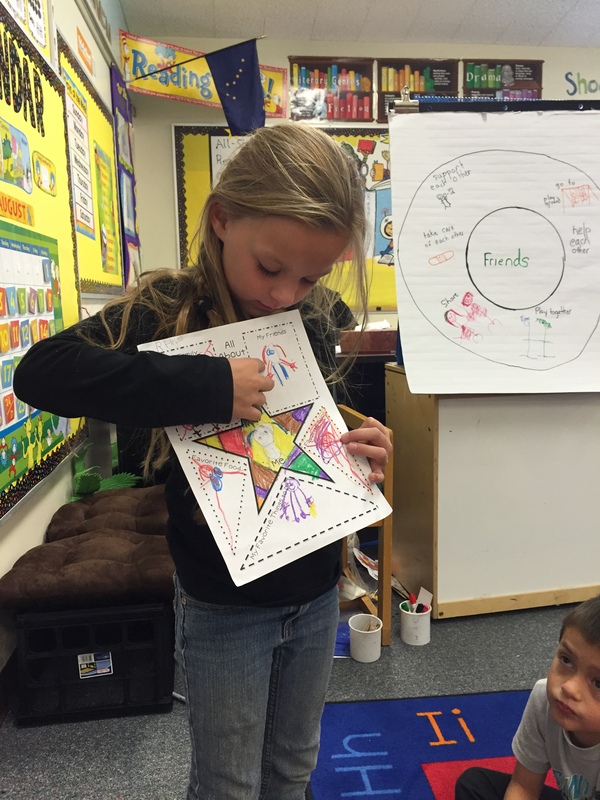 Then we made a simple thinking map illustrating ideas on what we think kindness means. 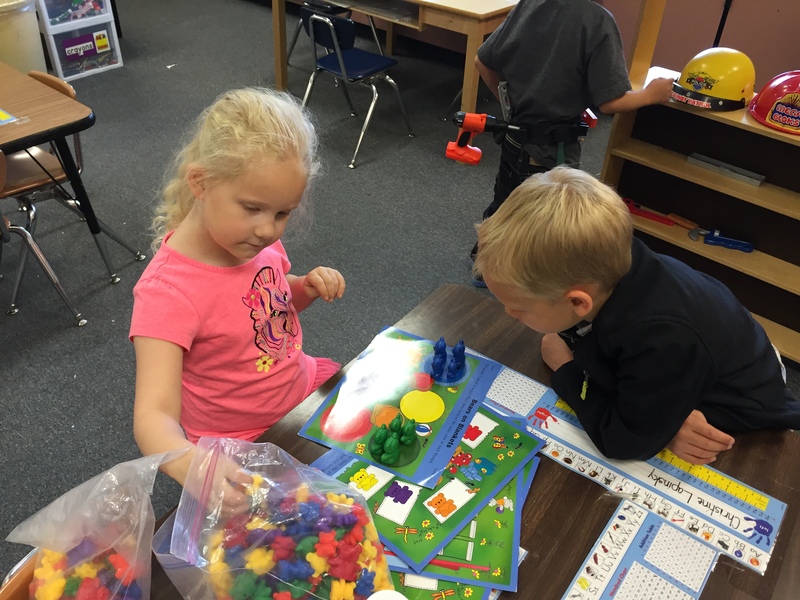 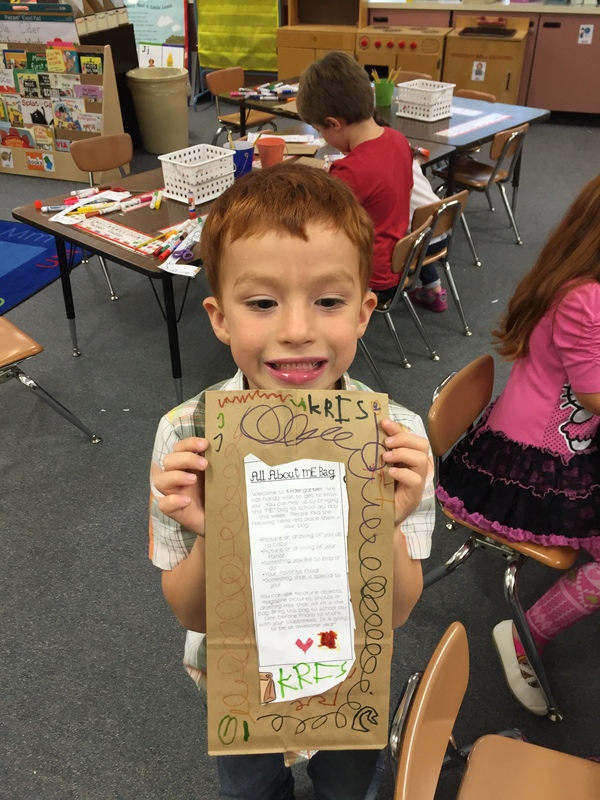 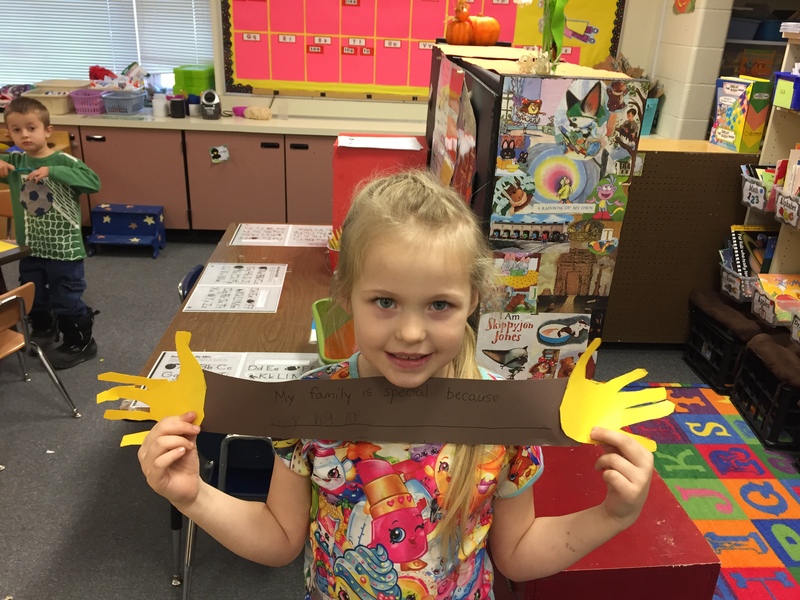 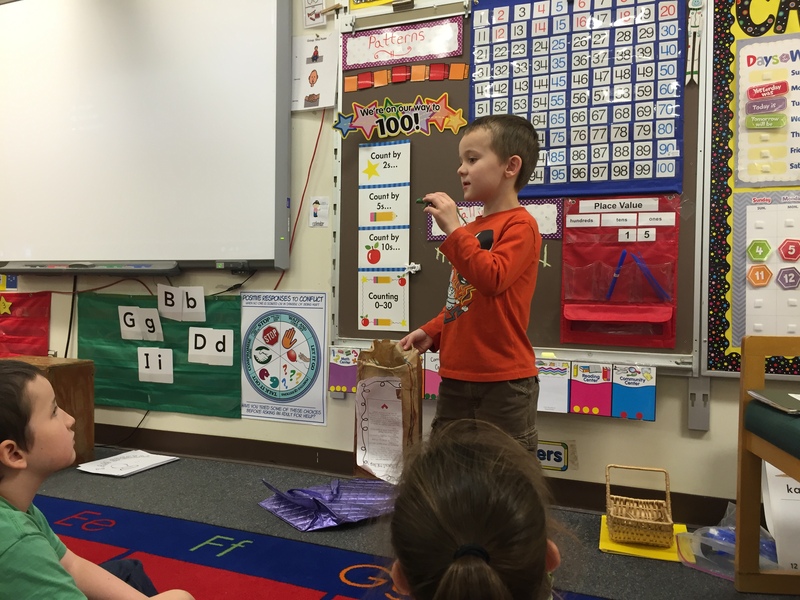 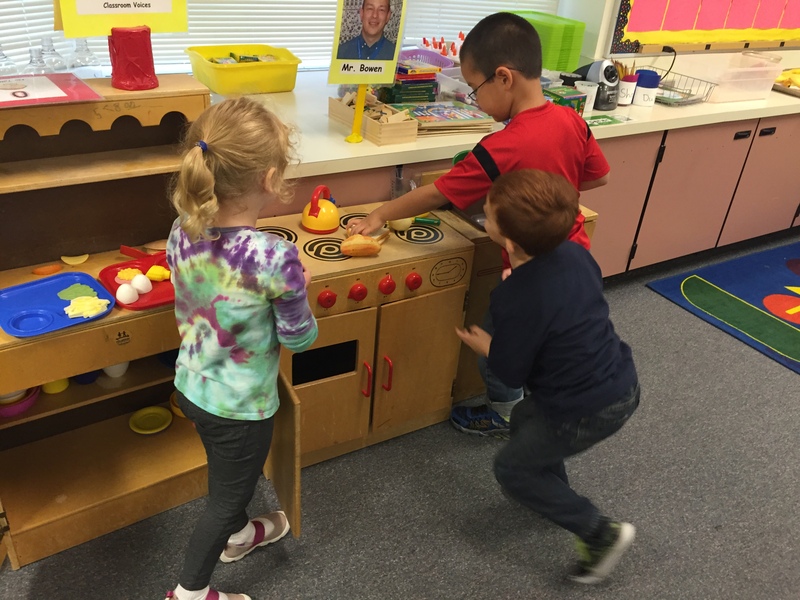 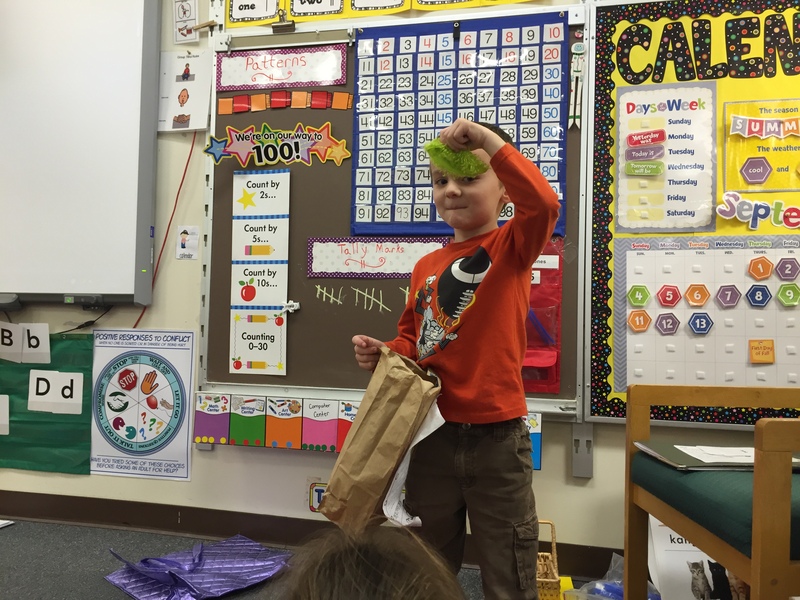 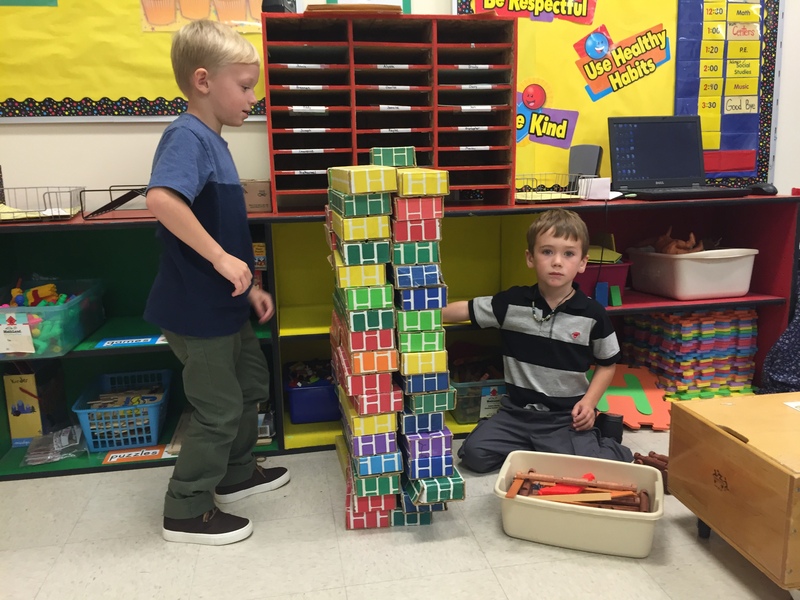 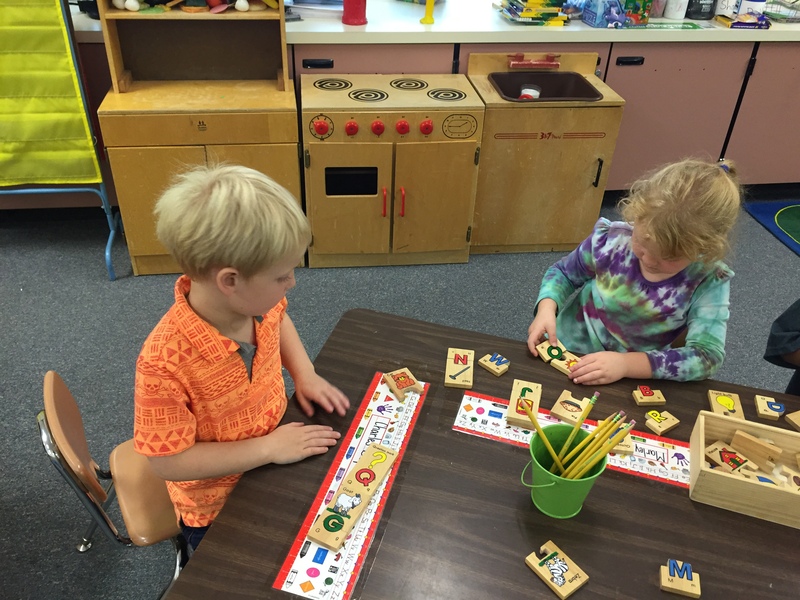 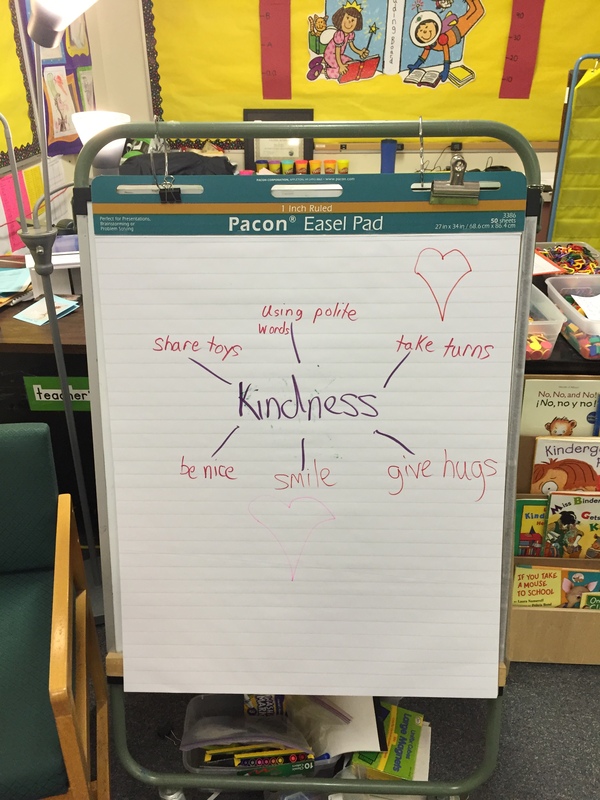 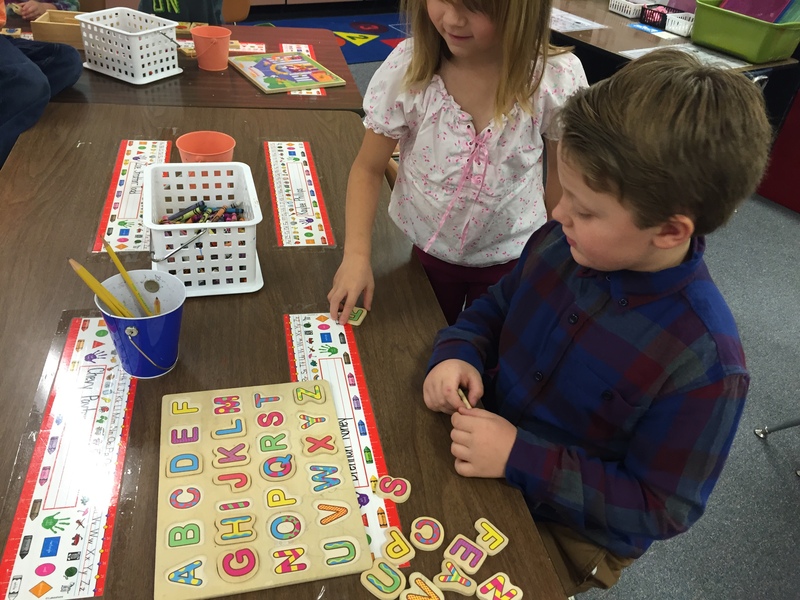 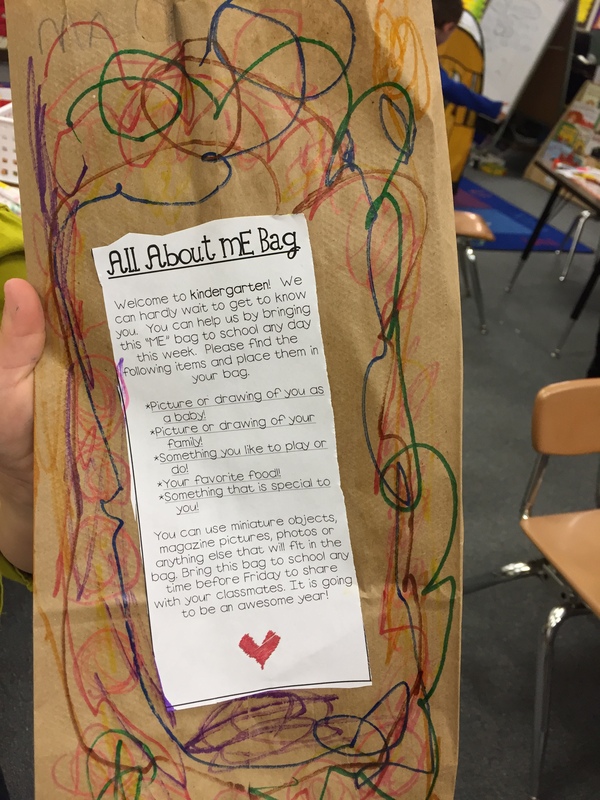 Finally we took what we learned about kindness and did our first time at free choice centers. 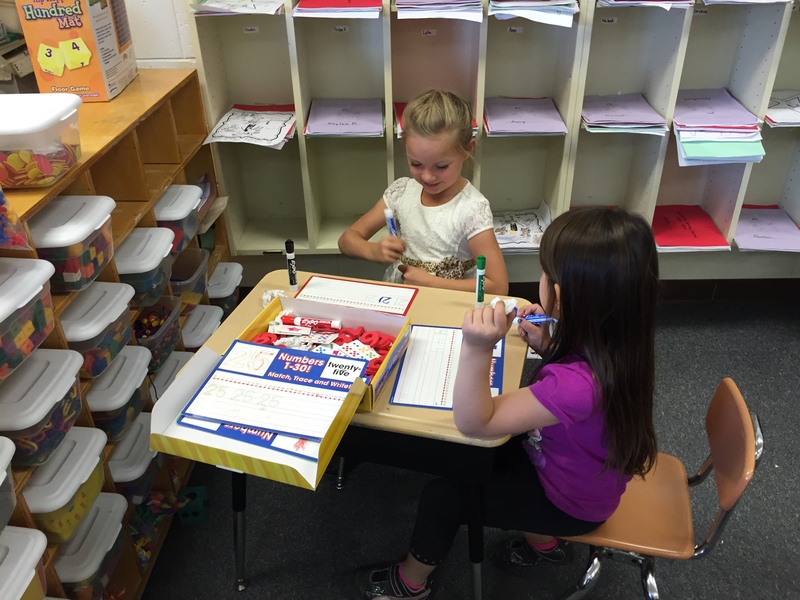 Students practiced sharing, taking turns, and positively resolving conflict. 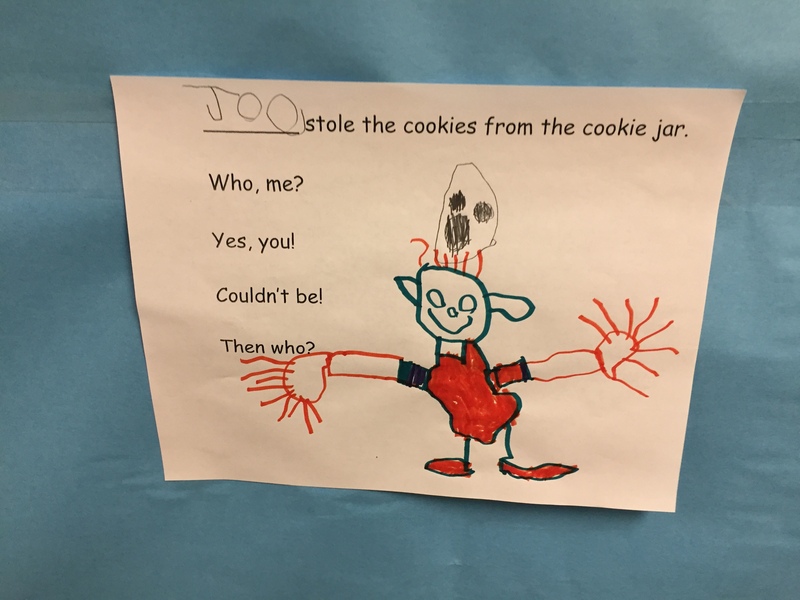 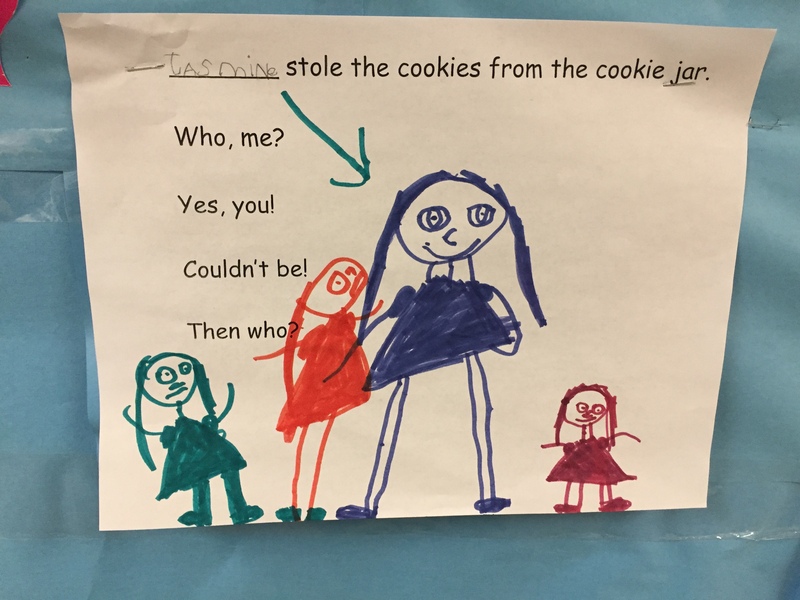 We also learned each others names by sitting in a circle and singing the song “Who Stole the Cookies From the Cookie Jar” while students passed around behind their back a toy cookie. 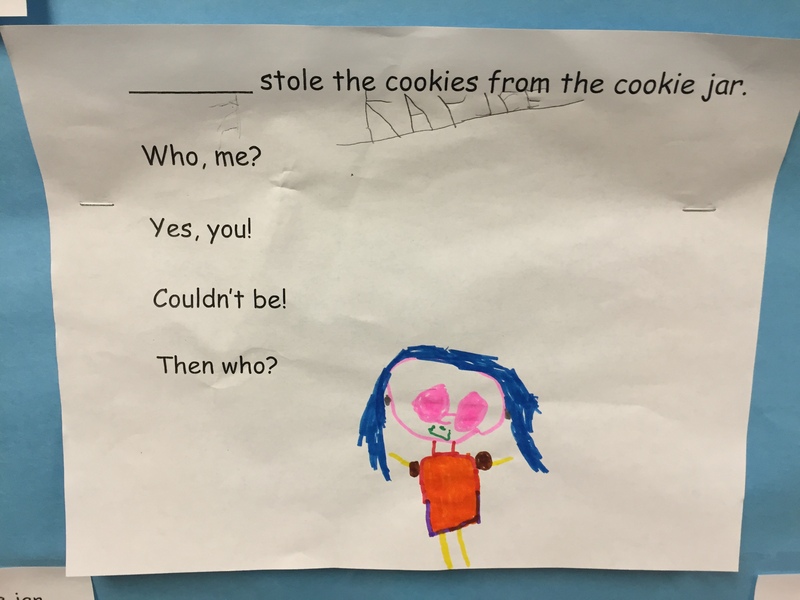 We tried to guess who had the cookie by saying each classmates name by singing the song. 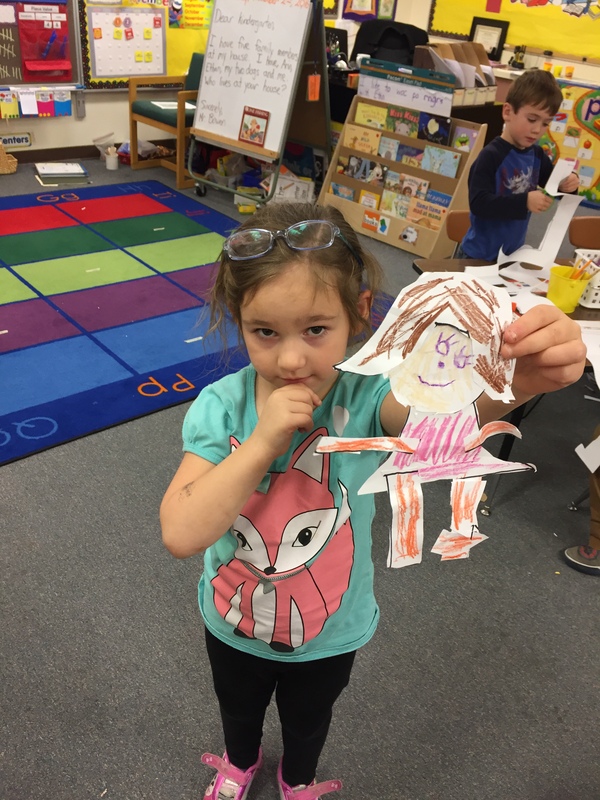 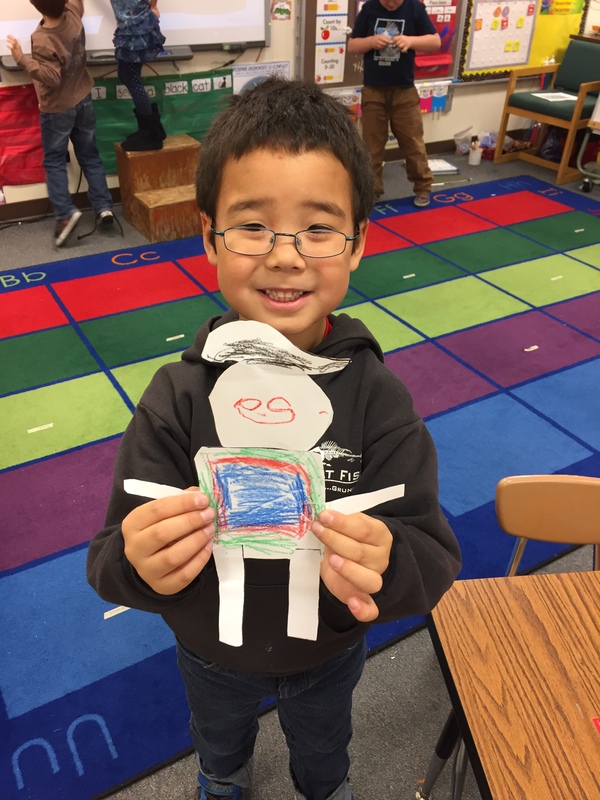 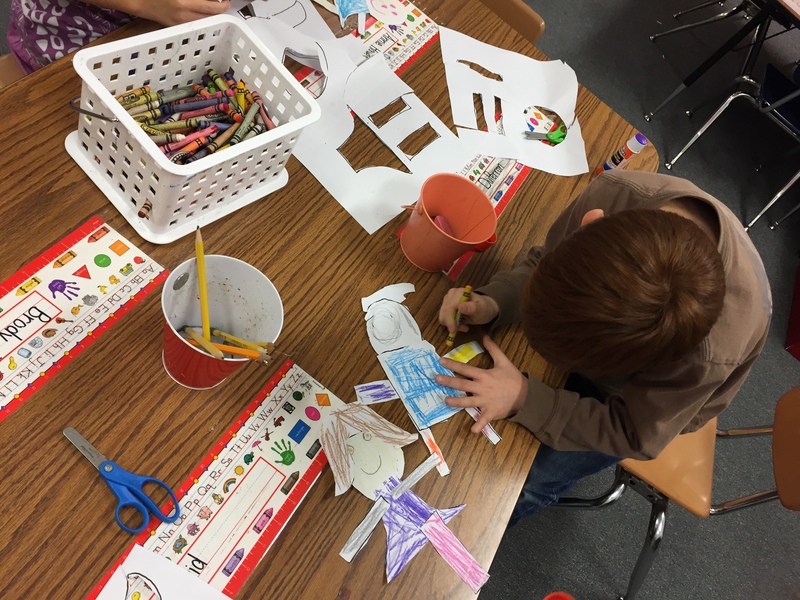 Then we created self portraits while I showed students how to add more details in our self portraits. 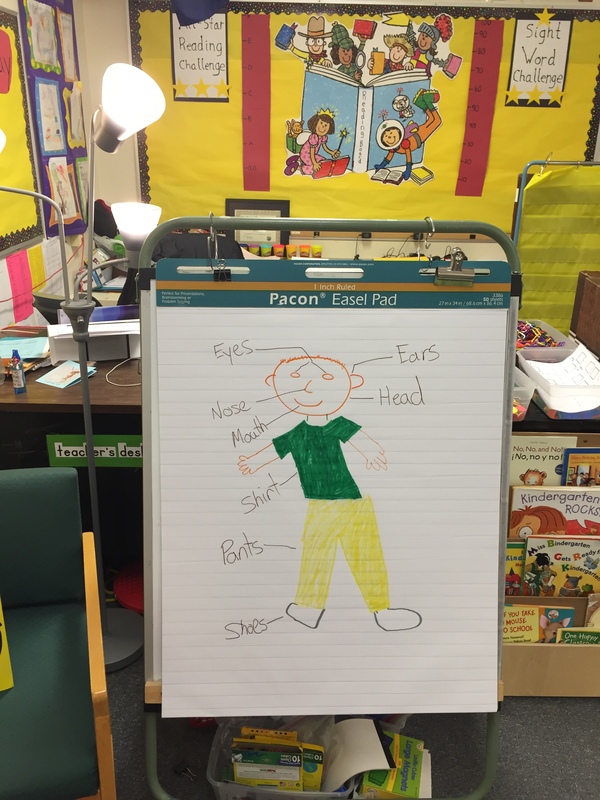 For example I encouraged students to draw hair, eyes, ears, mouth, and nose. 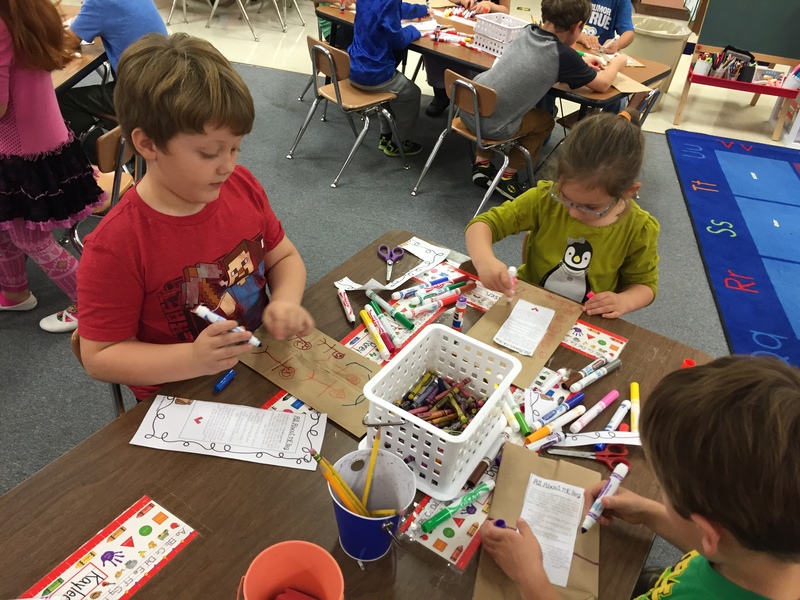 As we finish up this week are moving onto transitioning from back to school to feelings and friendship. 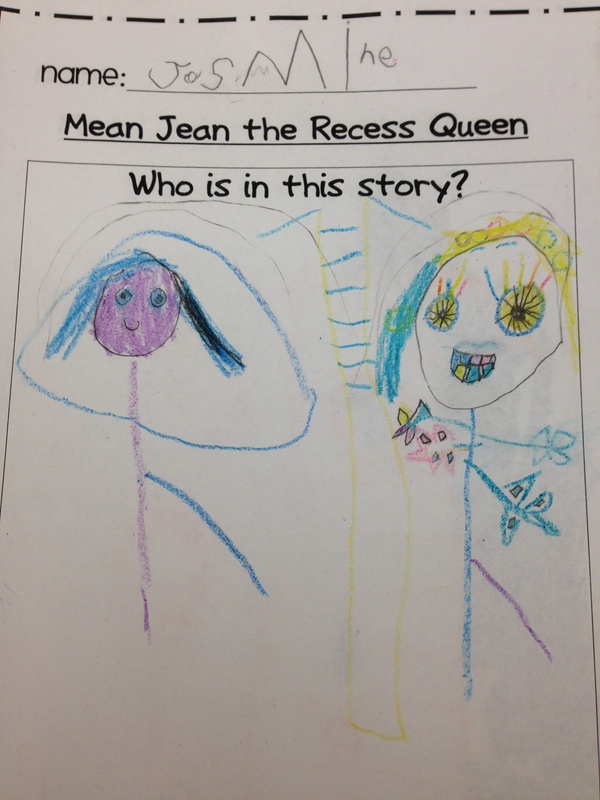 Yesterday we read The Recess Queen and created a character web to describe the two main characters in the story, Katie Sue and Mean Jean. 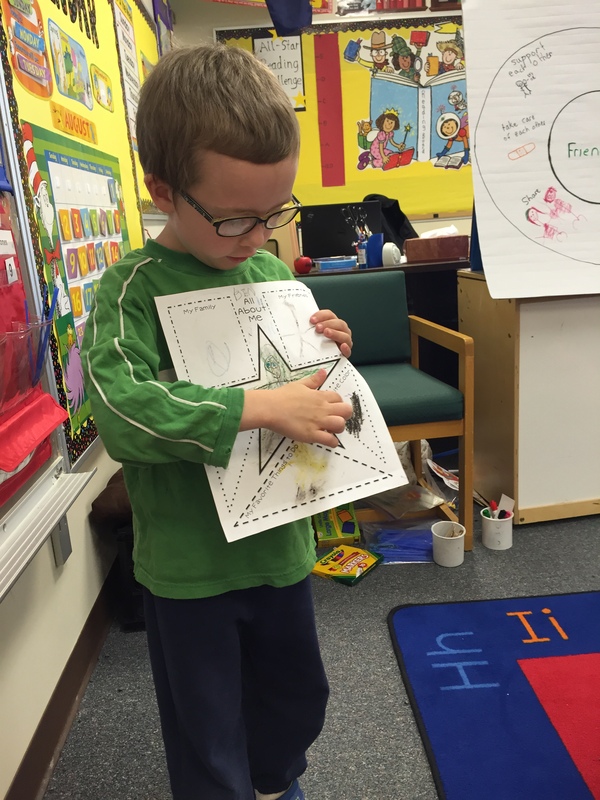 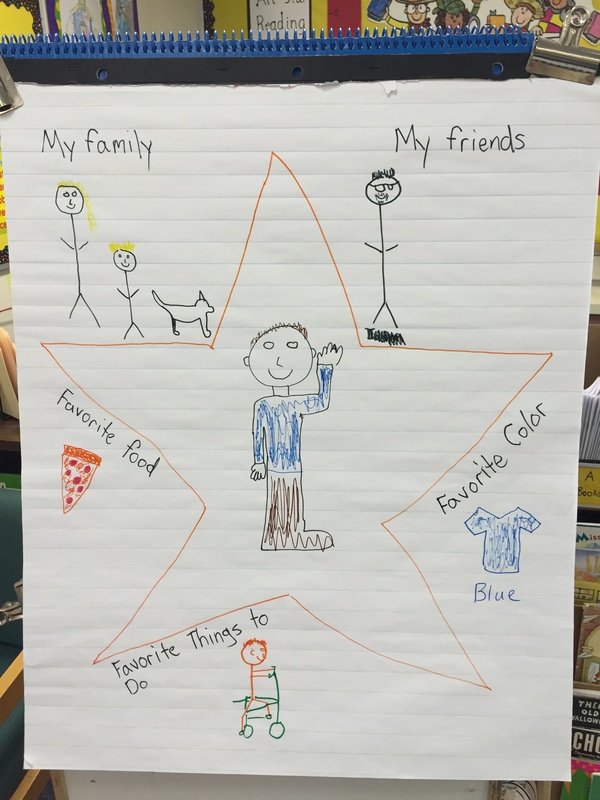 Then we used the character web to illustrate one of the characters. 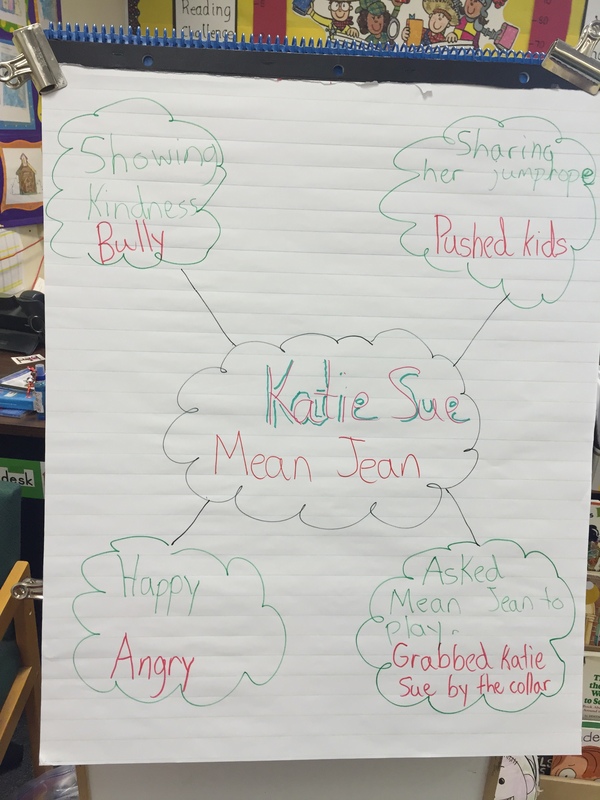 We also talked about how Katie Sue showed kindness to Mean Jean even though Jean was being a bully. 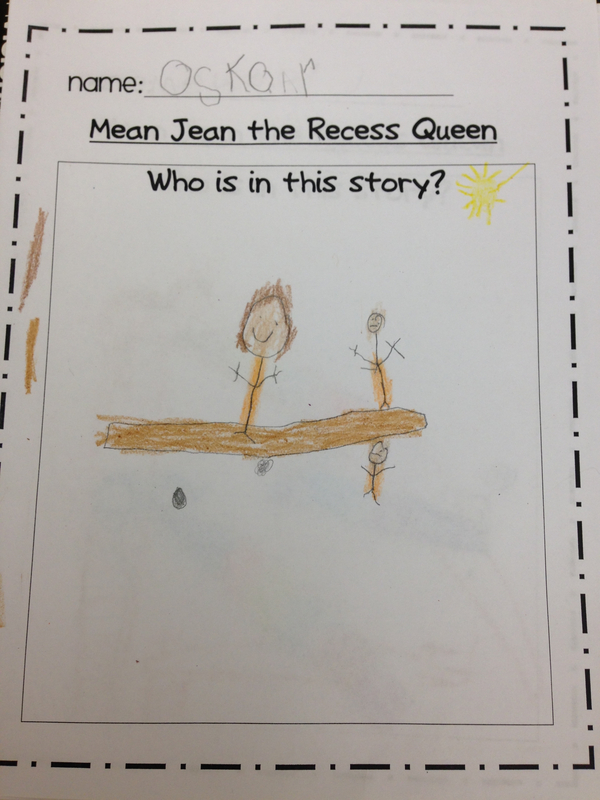 In some of the illustrations you can see Katie Sue with a jump rope and Jean bullying other kids and looking angry! 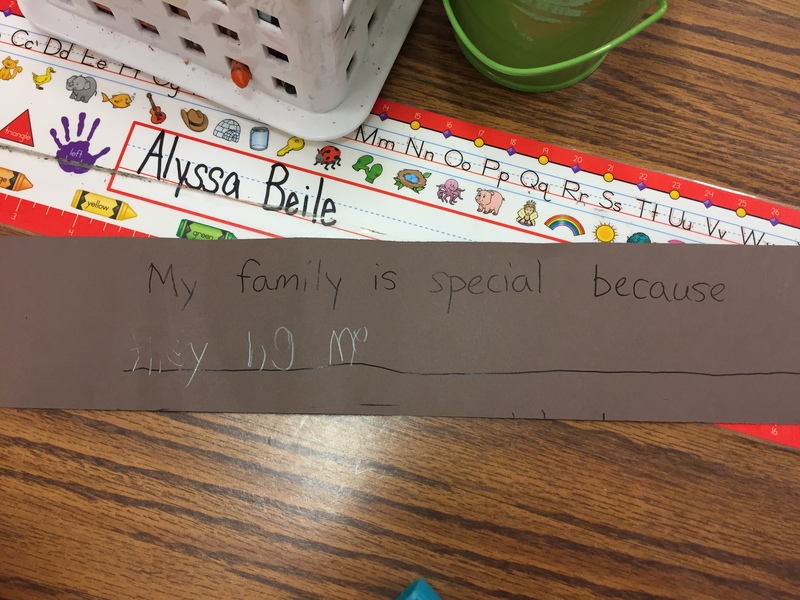 We have moved into our new theme of “Friends and Family” and the first story we read tied into our previous unit of back to school. 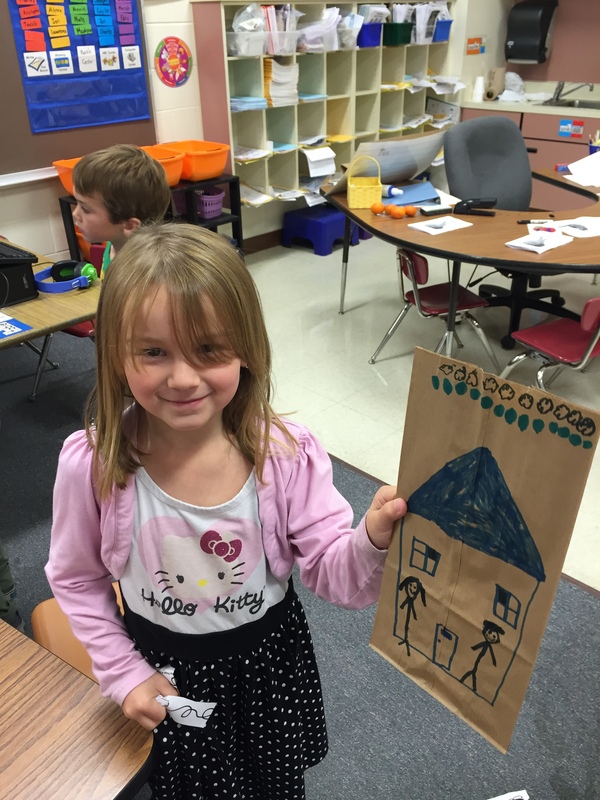 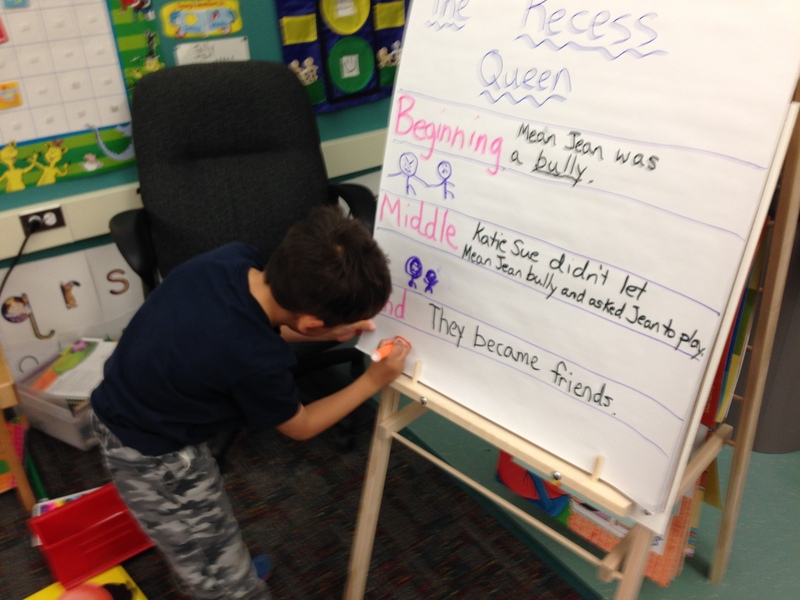 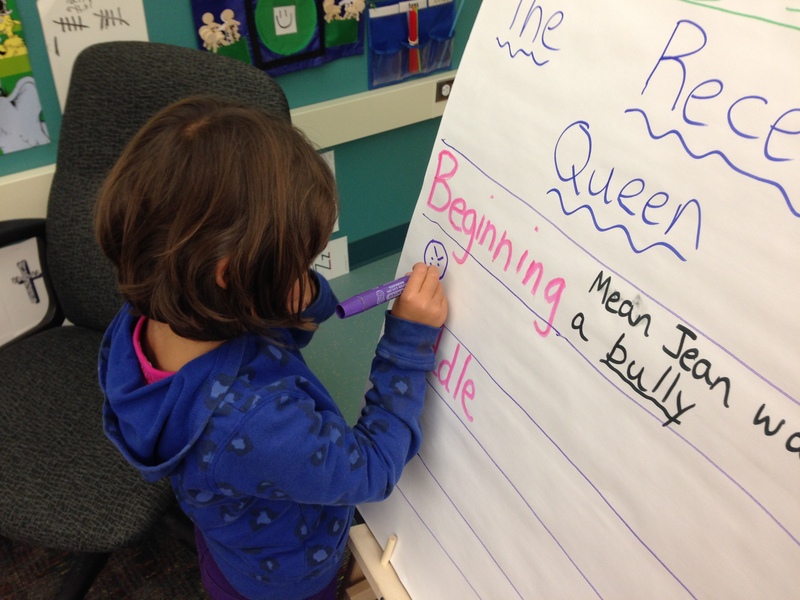 The story we read was “The Recess Queen” and as a class we retold the story by illustrating the most important parts of story using beginning middle and end. 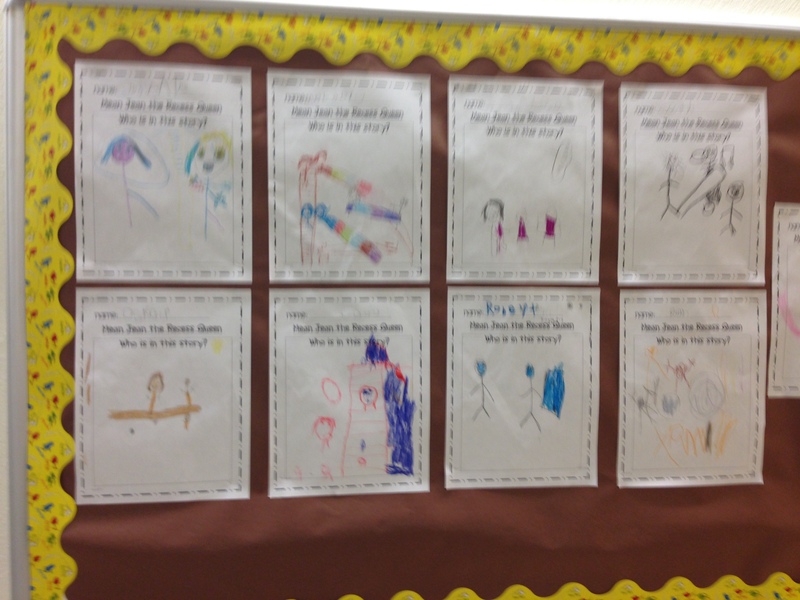 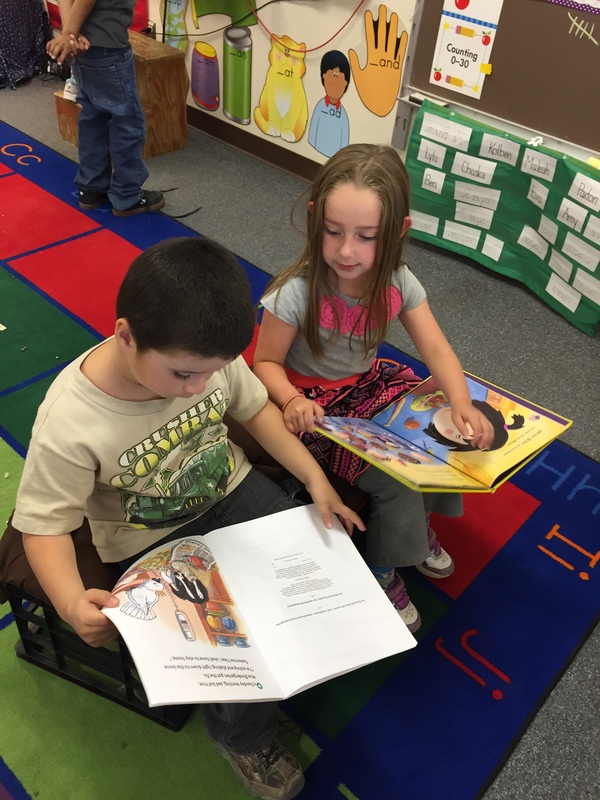 Then we discussed who was in the story and described the characters in our illustrations. 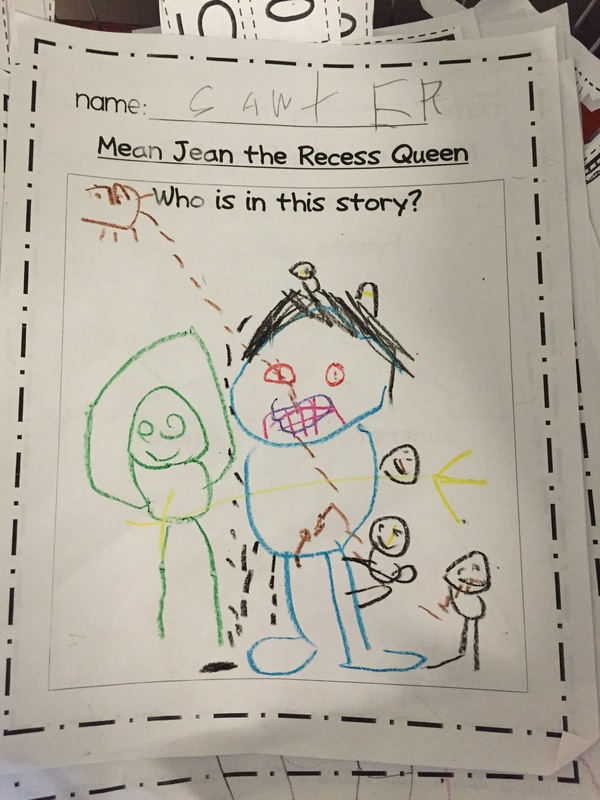 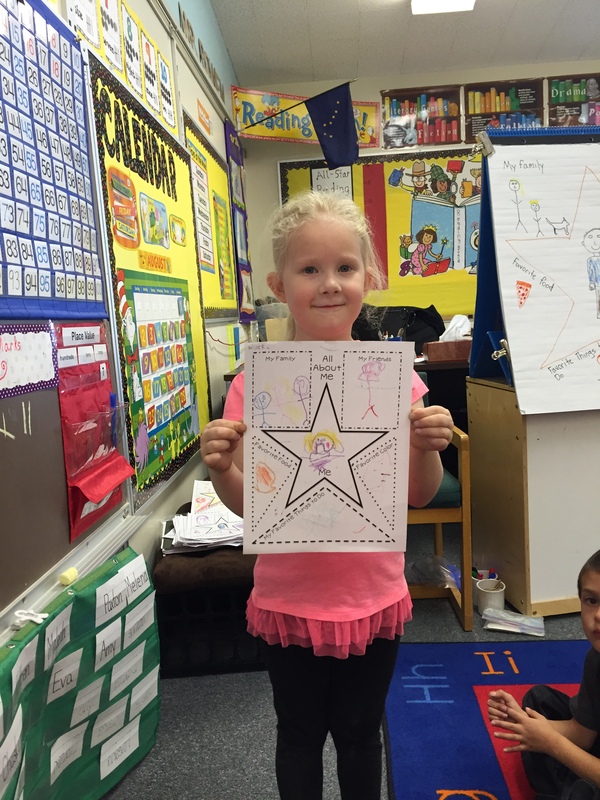 Students described Jean as “Mean, a bully, and angry” while Katie Sue was described as “funny, happy, and likes to jump rope”. 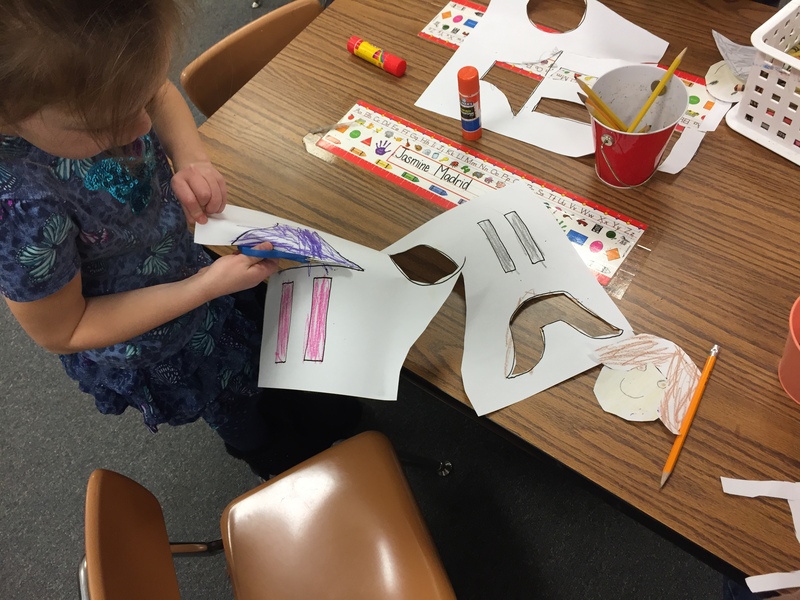 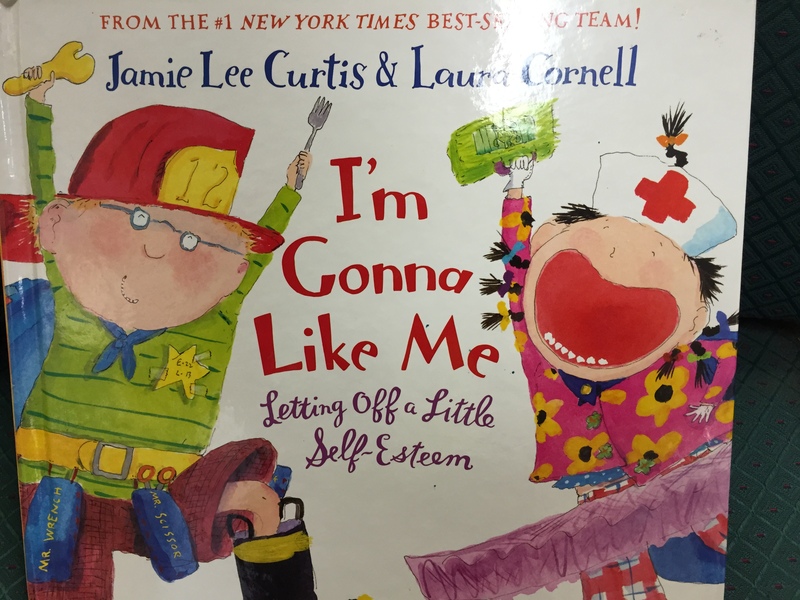 As we continue with our “Who Am I, Where Do I Go From Here” theme in K-1 class (aka our All About Me Theme); we have begun to talk about our feelings and how we describe them. 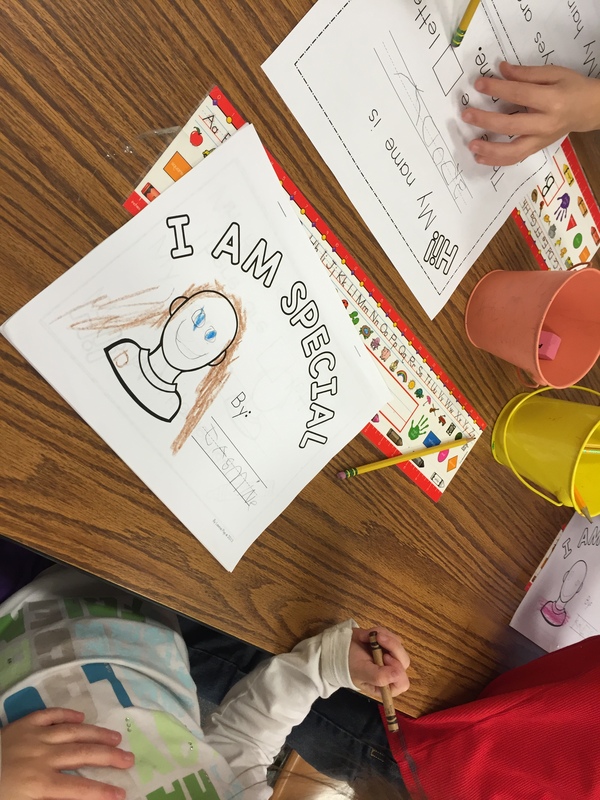 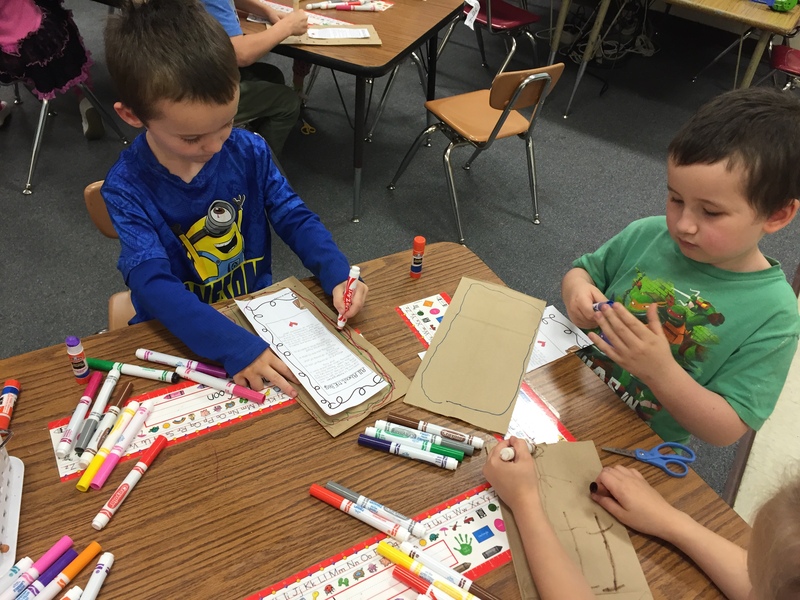 We talked about how we can write out our feelings and describe them in different ways. 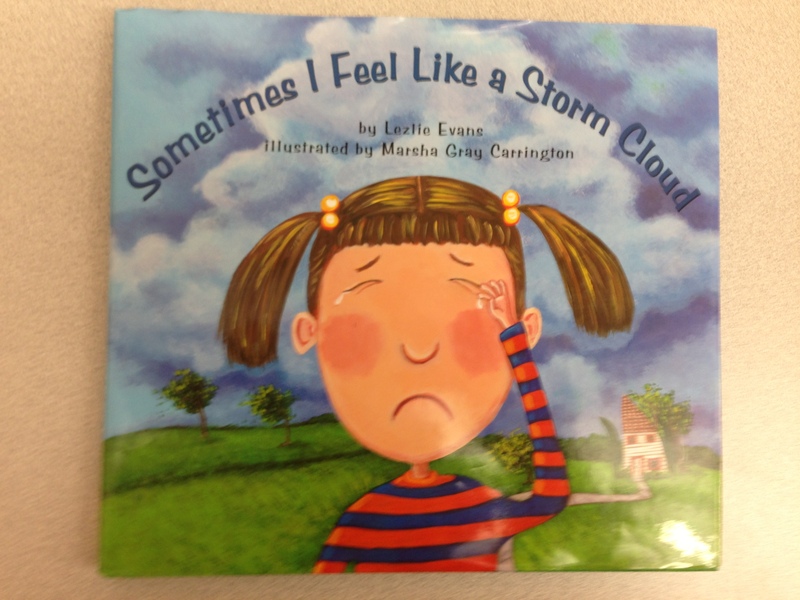 We read “Sometimes I Feel Like a Storm Cloud” by Lezlie Evans. 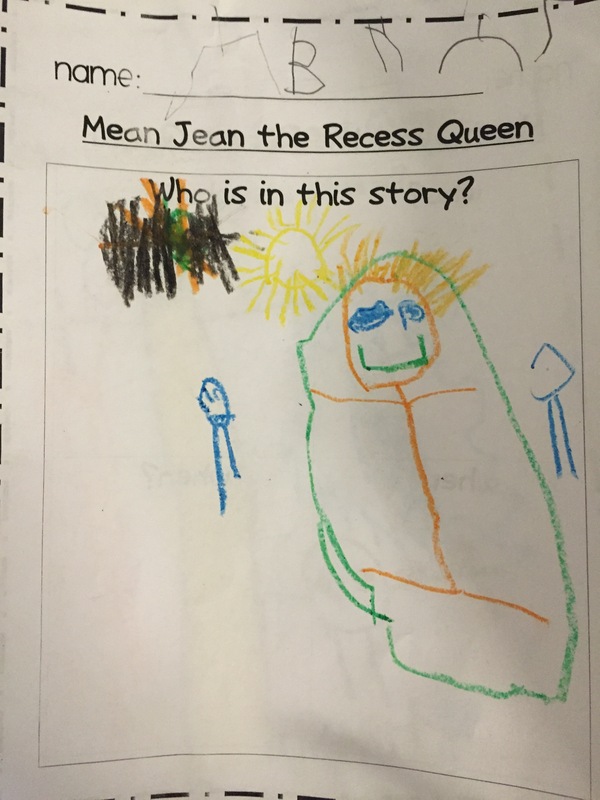 In this story the main character describes different way she feels. 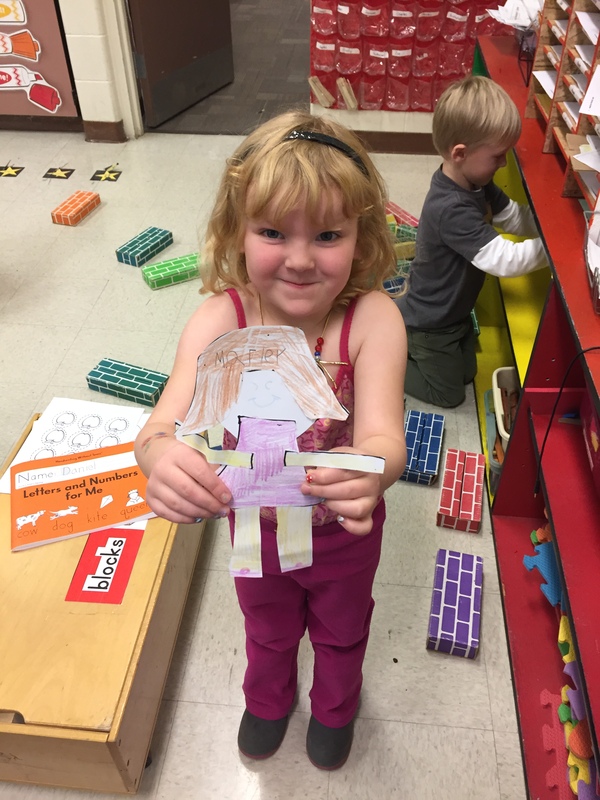 She describes herself as feeling like a tornado, or feeling like a newborn kitten. 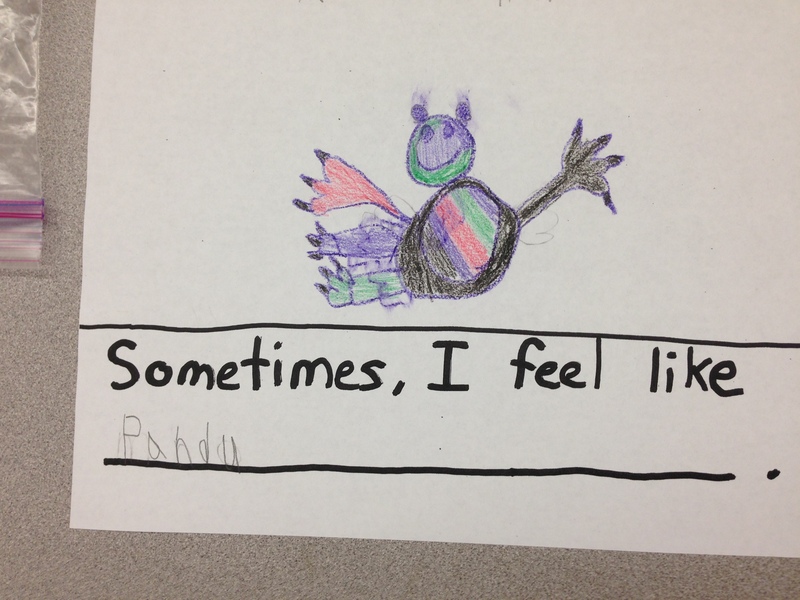 Then students described their own feelings by writing what they sometimes feel like. 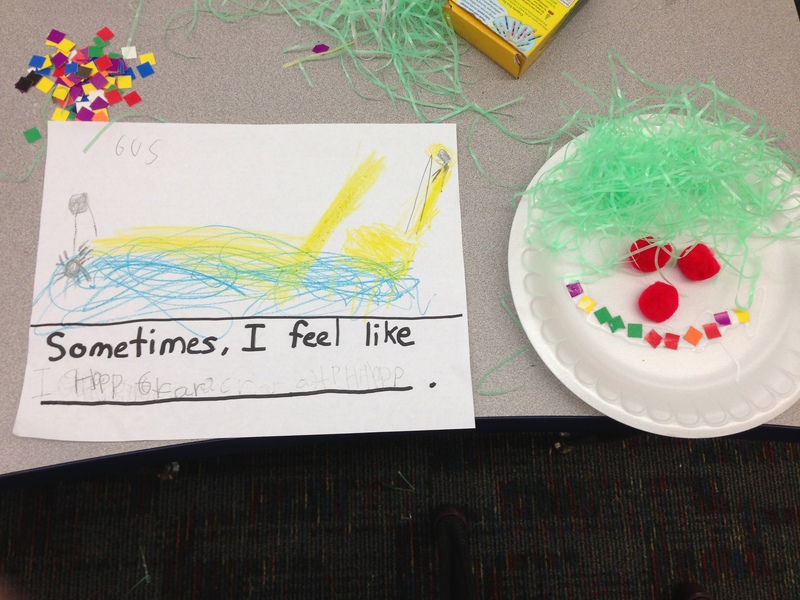 Following the picture and writing; they created a paper plate face that shows their feeling on their face. 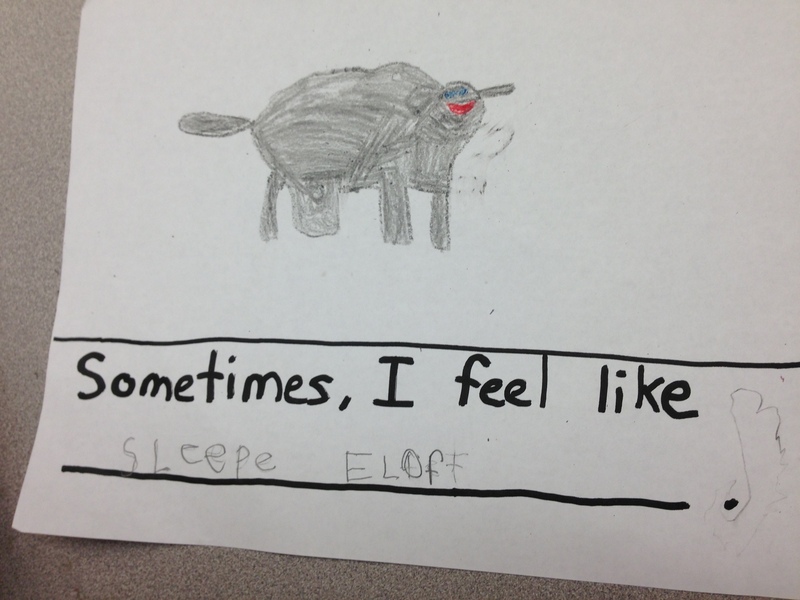 In first picture the student writes “panda”; the second picture the student writes “sleepy elephant”. 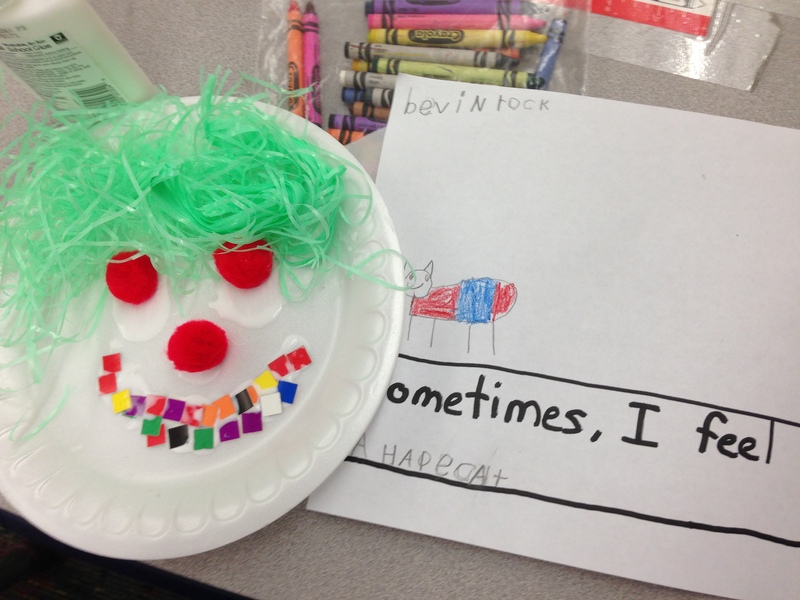 On the paper plates they used various arts & crafts supplies to create the accompanying paper plate faces. 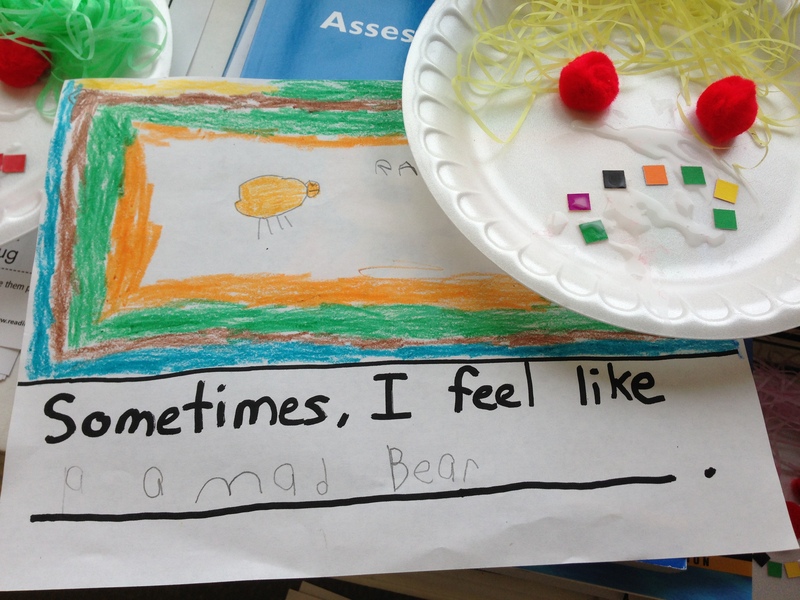 The first picture the student writes “a mad bear”; second picture the student writes, “a happy cat”, and a “happy giraffe” was written on the third picture. 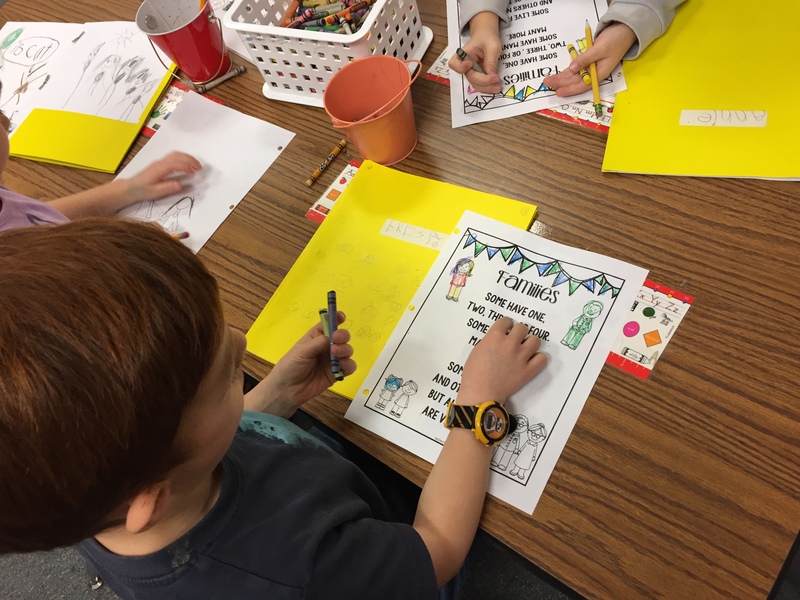 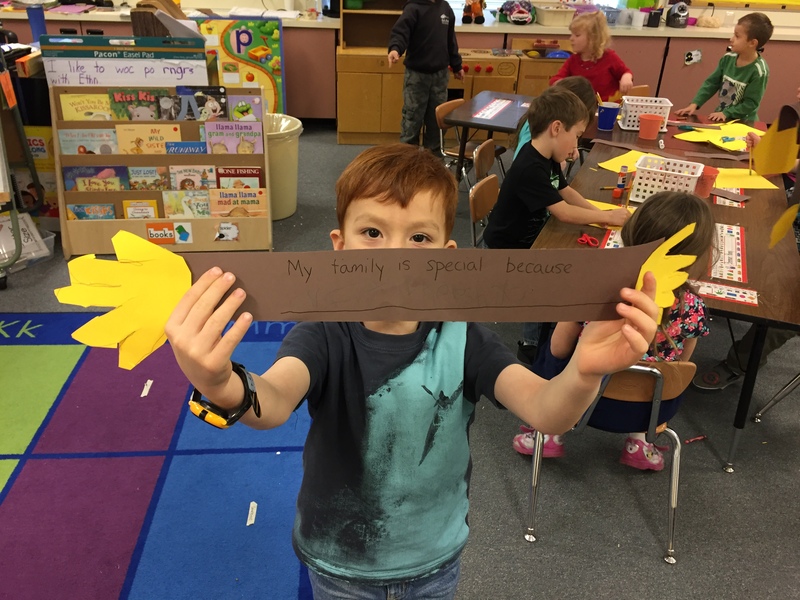 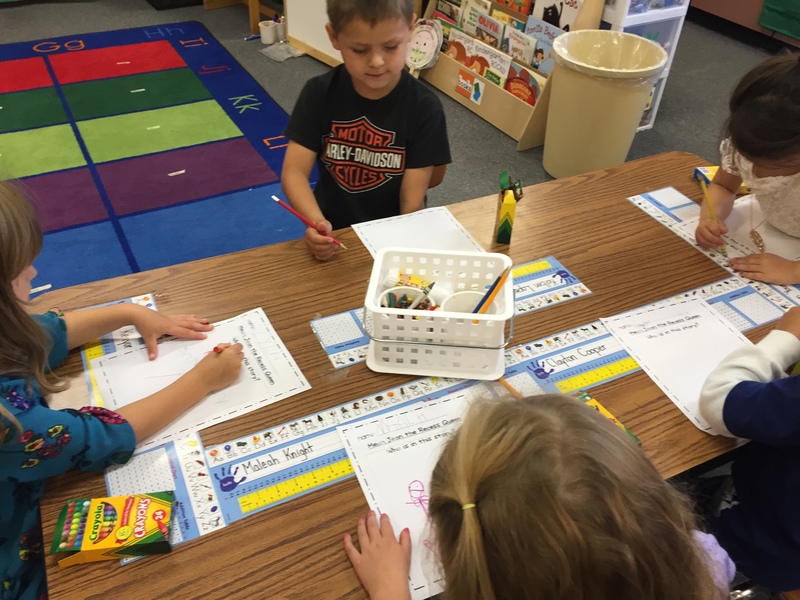 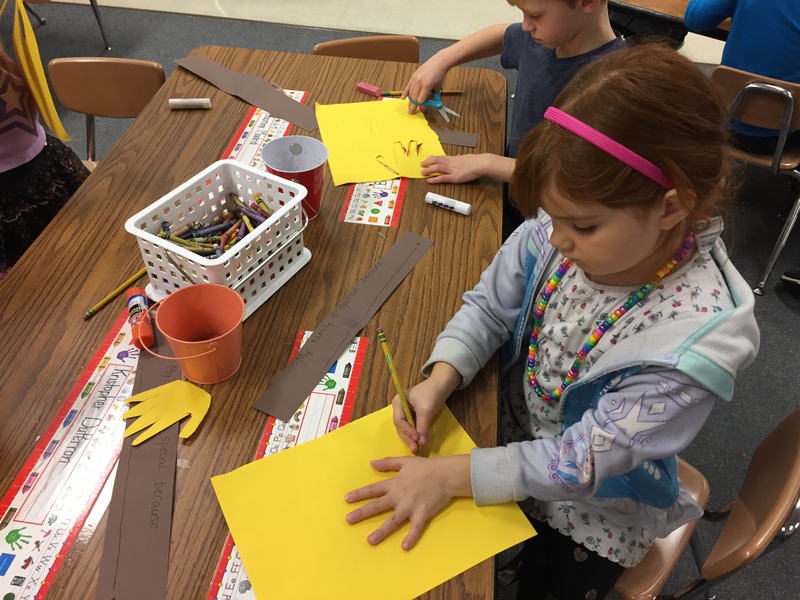 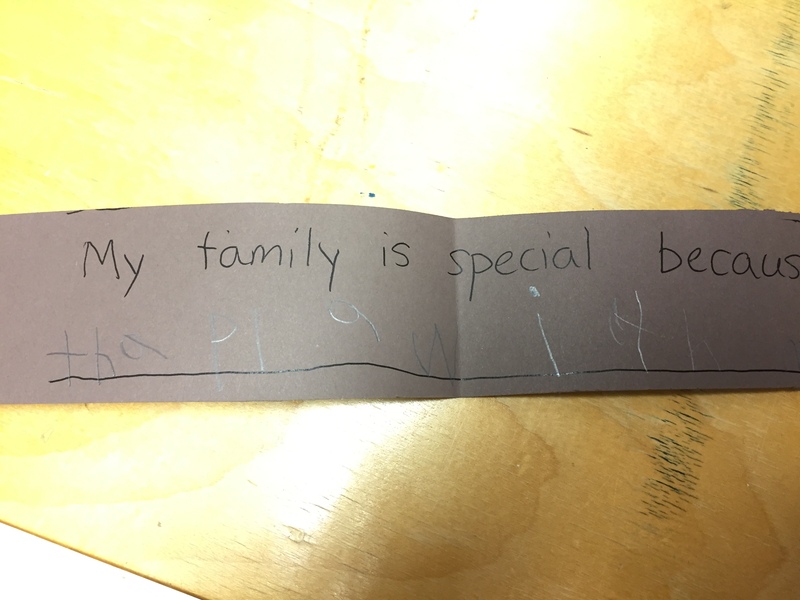 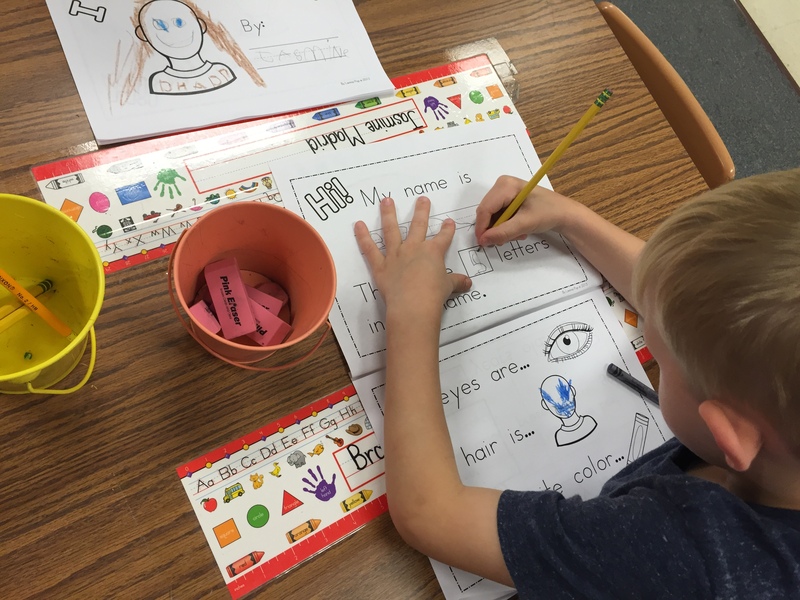 Students were invited to think of things or animals that made them think of the specific feelings that they sometimes feel.